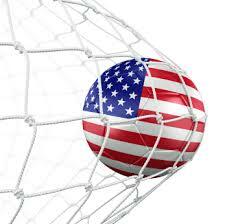 “USA, USA, USA” can be chanted now that the United States has advanced onto the Knockout Round in the World Cup 2014, being held in Brazil. Even though this is a positive advancement for the United States, it did not come easily after losing to Germany 1-0 on Thursday, June 26th, 2014. It was thanks to Portugal defeating Ghana 2-1 that allowed the United States to hold on to their second place standing. This in itself is a great accomplishment for the United States, as they were ranked 14th in the World by the Fédération Internationale de Football Association (FIFA) when they entered the World Cup, and we were also placed in the “Group of Death”, facing very difficult teams including Ghana, Portugal, and Germany. Although, now that the United States is in the Knockout Round we will begin to see new teams and our next game will take place on Tuesday in Salvador at 1pm against Group H winner Belgium. While the World Cup, historically, has not been the United States better event – the fact that we have fought this hard and made it this far has definitely ignited some American pride. In Wilmington, many restaurants and bars are opening up earlier so patrons can watch the games and support our team, showing our American pride throughout the town. Also, while drinking is very popular for watching sporting events, like the World Cup, we urge you to stay responsible during this time. If you are out watching the games and drinking, make sure you are of the legal age to drink and have a designated driver to take you home or your could suffer severe legal ramifications. So if you or someone you know is charged with an alcohol related charge in Southeastern North Carolina, in or around Wilmington, NC in New Hanover County, Brunswick County, or Pender County, then be sure to call the experienced team at Collins Law Firm for a confidential consultation at: 910-793-9000.